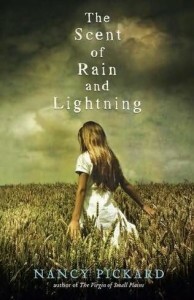 “The Scent of Rain and Lightning” is the next famous novel by Nancy Pikard to make it to the big screen. The story revolves around a young girl who experiences and discovers the power of hate and resentment after learning about the release of her parents’ killers. So many memories come back haunting her, kindling the destructive desires. The leading lady will be played by Maika Monroe. Mark Webber, Maggie Grace, and Justin Chawtin will also be playing key roles in this drama directed by Blake Robbins. While the cast is final and the movie is already in production, the team is looking for actors for additional photography for the movie. Caballero Casting LLC is responsible for audition and selection of the candidates. If you fulfill the aforementioned criteria, apply by submitting 2 recent photos (without hats or glasses) along with personal details including Name, Age, and Contact Information. Send in the required material and info to caballerostaff@gmail.com with ‘Prisoner’ as the subject line.